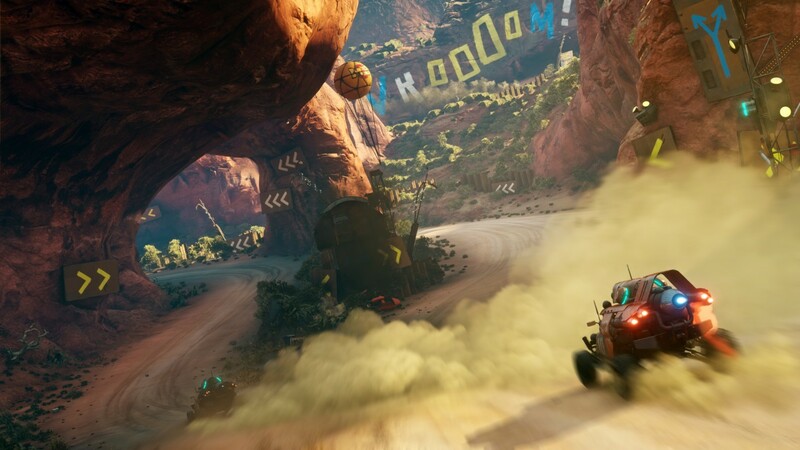 RAGE 2 is using Avalanche's APEX Engine. It's not using idTech. And DOOM Eternal is on idTech7. Really? Damn, i didnt even know that. Thats disappointing. I heard Doom Eternal isnt using id tech 7 but only singly upgraded id tech 6 (6.5 like they said). Marty and Hugo said at Quakecon on stage, during the DOOM demo that it was idTech7. But, as for RAGE 2, idTech is only available to studios owned by ZeniMax. Could be the reasoning behind it. Might be why Quake Champions is loosely based off of idTech5, but heavily modified by Saber Interactive's own tech. Or... more likely, Avalanche are just more comfortable with their own engine. DOOM Eternal is id tech 7. Probably going to run amazing on Turing just like Wolf II. I'm interested in how the final game is going to look. Mad Max had great art-design, but while the game itself looked good in the "outdoors", in interiors it looked horrible. It had tons of aliasing, and the weak FXAA that the game had as the only form of AA only blurred the screen, without really hiding any of the many great jaggies. one thing we are almost guaranteed is the game will run great day one of that im fairly certain if Mad Max was anything to go by even now some four years later it is still one of the most finely tuned PC releases sure they have switched from the avalanche engine to the apex engine but as its now the turn of the original JC developer theres every hope it will be something to marvel at. early feedback has stated the game FEELS JUST LIKE DOOM 2016 but in an open world and that is nothing something to be lightly sniffed at considering how tight and well crafted that game was. my thoughts on Mad Max are well documented around these parts n if the car combat in this is even a smidge of what was offered in that game im raring and good to go cos this has slowly become my most anticipated game that is all set up to make up for the lack of a Borderlands 3. Two great studios working together. With id's polish in the shooter aspect, and Avalanche's over the top vibe to car combat and open world design... 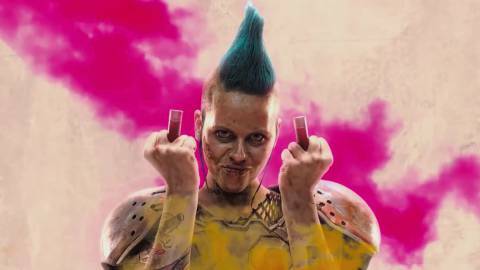 RAGE 2 looks to be awesome. And, given that this is the A team of Avalanche, and id's normal level of quality... should be a fantastic experience on all platforms. After RE2, RAGE 2 is my third most anticipated release this year. After Ion Maiden, but, for a completely different reason. 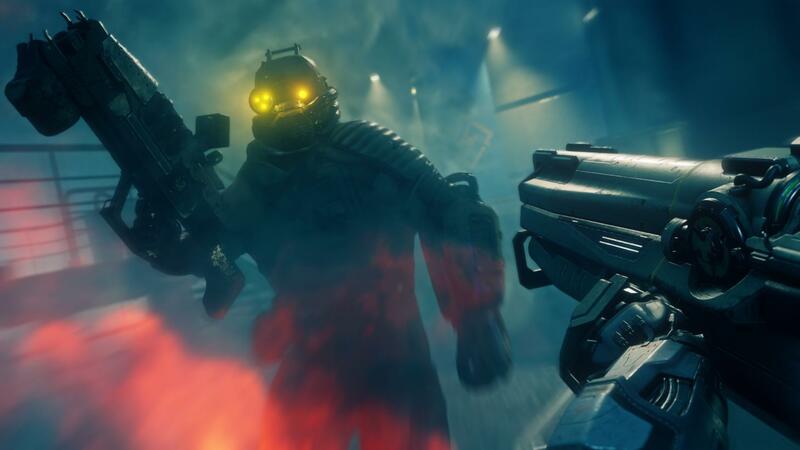 IM ticks that box for me as far as classic FPS goes, but RAGE 2 ticks a whole lot of different boxes. Something bugs me about the art direction in this game. Those vivid hot pink, purple tones in various parts of the game look off-putting to me. -Tj- and Undying like this. I would love to see this support DLSS. I'd love to see DOOM, Wolfenstein II use DLSS. At this point...I'd love to see any game support DLSS. A guy can dream. Same goes for FC new dawn. -Tj- and alanm like this. For years upon years, people ripped on id games for lacking color. For being brown, grey and yellows. Now... an id game is coming out with color, and... people don't like it. Personally, I'm glad RAGE 2 and FC:New Dawn are doing this. Do we really need more post-apocalyptic games that are brown deserts and burnt out forests? They are giving the games some personality, identity. cerebus23 and -Tj- like this. Mad Max used color pretty well to define different gangs and still had a nice dark and gritty post-apocalyptic setting though this game is going all out with humor and closer to DOOM(2016) and Just Cause 2 or 3 than that from the videos so far. 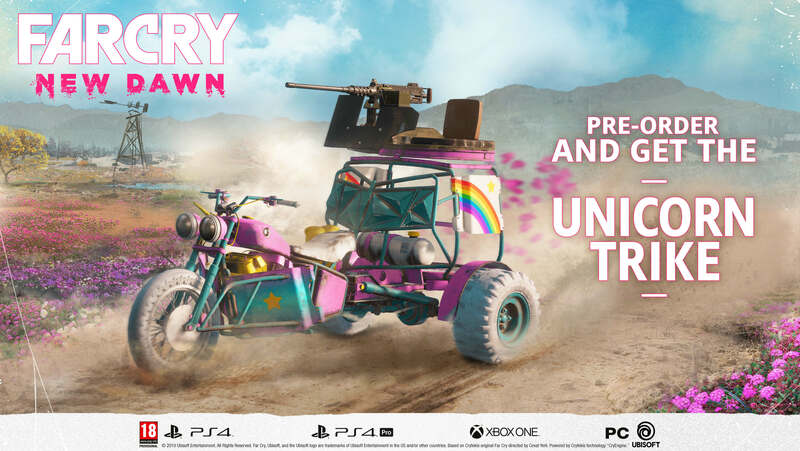 I haven't seen enough of the actual game to judge if it's situational like that or something like Far Cry 5 New Dawn and everything is uni-colored. Though in that game even the pre-order extras are pink and blue. Guess we'll see, I expect the gang areas and hives or what it was in RAGE (The "dungeons" I mean.) to be more gang-banger uni-colored and the rest of the wasteland might be a bit more muted or perhaps it's all purple and pink and there were some really funny stuff in those nukes...only it was actually a piece of a meteor only barely missing a direct hit by scraping against the moon a bit. EDIT: Ah there's screenshots almost right above this post, they certainly love their particle effects. EDIT: And quips aside I am curious as to see what else the game has to offer but I don't want to choose the Epic or the Bethesda store so it's going to be the waiting game for this one. EDIT: Nothing wrong with pink though and if you can back it up no-one else is going to think so either. its like saturation is turned up to 15 in the game settings and they tossed in a ton of pastel colors so it looks even more cringe. well there is always doom. no day glo saturation stuff just blood lot and lots of blood. I've barely watched footage but I liked the shooting and we have id to thank for it. I enjoyed my time with mad max but the car became very boring after you got the missiles. I stopped bothering with combat if I could avoid it. If the driving is forced and boring like Rage 1 then I won't bother for long with this game. Colours didn't bother me tbh. I too view post apoc as dead and desolate but it's just a game so I'm fine with some artistic freedom. Idgaf about bethesda.net. They messed up fo76's rollout so bad that it uninstalled the beta when you clicked play and even installed the wrong game in some cases. Just recently I saw in the fo76 subreddit that the friends list was broken in the bring your friends game. I cba with every idiot publisher with a store. I'm going to keep my money. No, no they should made Doom Eternal also pink and purple. People seem to like it. Anyone else just disappointed by the decision to use that Avalanche Apex engine instead of Id tech? Its gonna miss an Vulkan support and probably not have such a high graphical fidelity of Id tech. All this Rage talk made me look back the first game and how it delivered real post apocalyptic seting and atmosphere. Let’s reserve judgement until after it’s released and we’ve had a chance to play it.